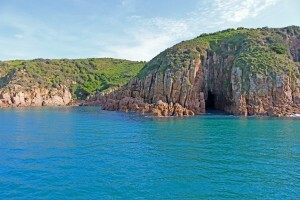 In Western Port and around Phillip Island and Wilsons Promontory you are likely to see at least two dolphin species all year round, while in the winter months you have a very good chance of seeing humpback or southern right whales too! Killer whales and sharks can also be spotted occasionally – every one of our cruises gives you the opportunity to look for any of these magnificent creatures. 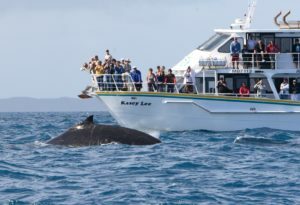 Whale sightings in the area are often posted on several Facebook pages: Two Bays Whale Project, Phillip Island Whale Watchers, and Wildlife Coast Cruises. Most updates are near to real time and often include tips on where the whales could be seen from. 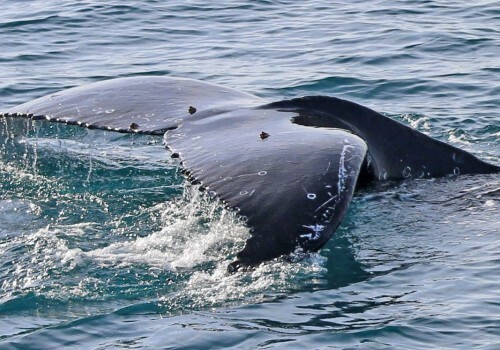 For your best chance of seeing whales, keep an eye out on these Facebook pages and be ready to grab your binoculars and head out to the lookouts to spot the whales yourselves. 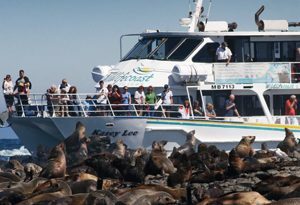 See the Bass Coast Whale Discovery Trail for good vantage points to spot whales from. Remember to look after the coastal environment by watching out for wildlife on the roads, and by keeping to the tracks. 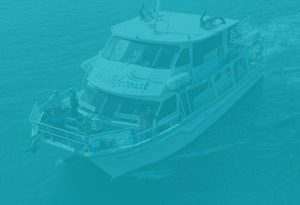 If you’re lucky to see whales, please share your sighting by sending a message to the Two Bays Whale Project Facebook, click on Report Whale & Dolphin sightings below or call Wildlife Coast Cruises on 1300 763 739. For the latest whale sightings, click on the Whale Sightings Map below. 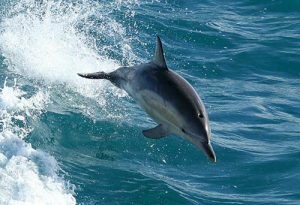 Bottlenose Dolphins (Tursiops australis) grow up to 4m and are grey in color. 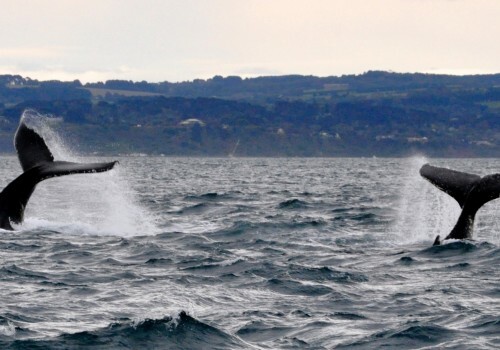 They swim in smaller pods of up to 30, and can be seen in Western Port. 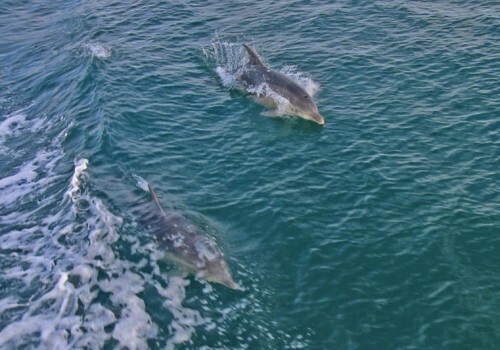 Short-beaked Common Dolphins (Dephinus delphis) are smaller than the bottlenose dolphins and have a distinct hourglass light grey to yellowish pattern on their side. 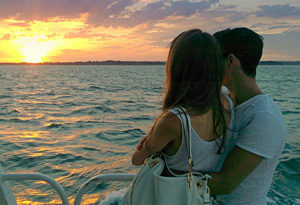 They usually swim in larger pods and love to ride the bow of the boat. Humpback Whales (Megaptera novaeangliae) are black with a white ventral (belly) side and very long flippers. Their name is derived from the way their backs arch when they dive. 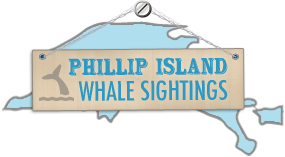 From May to October humpback whales migrate from Antarctic waters along the Victorian coastline, which is the best time to join our Winter Whale Cruise or Dolphin & Whale Cruise on Phillip Island or the Wilsons Prom Whale Watching Cruise departing Port Welshpool for your chance to see these majestic creatures. Southern Right Whales (Eubalaena australis) are similar in size but heavier than the humpback whales. They are nearly black in color and move slower. 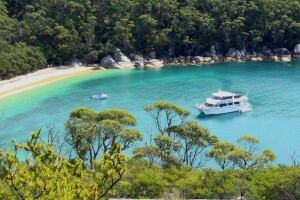 They can sometimes be seen in quite shallow waters off Cowes or San Remo jetty. Killer Whales (Orcinus orca) occasionally visit the waters around Phillip Island as seals make up an important part of their diet. They can be seen in small pods of up to 12-15 individuals, with the males having the distinct tall black dorsal fin. Did you know? Most whales and dolphins live long lives. 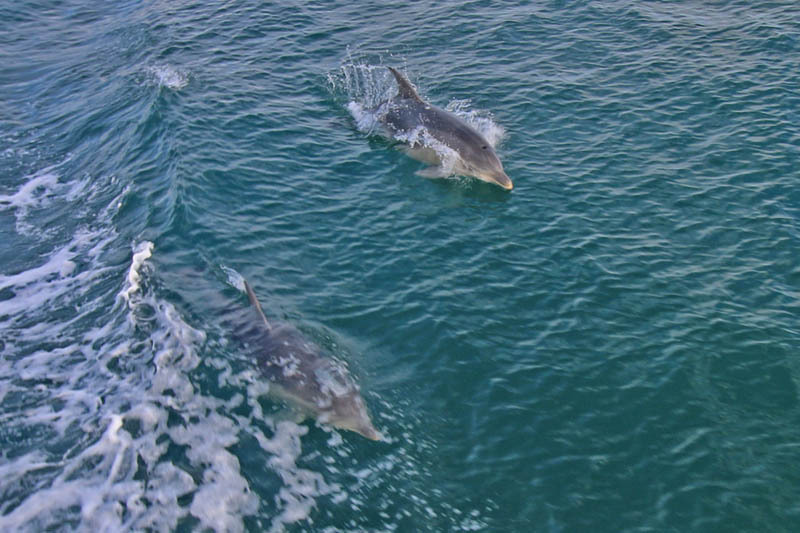 Wild Bottlenose dolphins live well into their forties, while some of the larger whales live in excess of 80 years! Help us protect these majestic animals by refusing plastic and cleaning up our oceans!